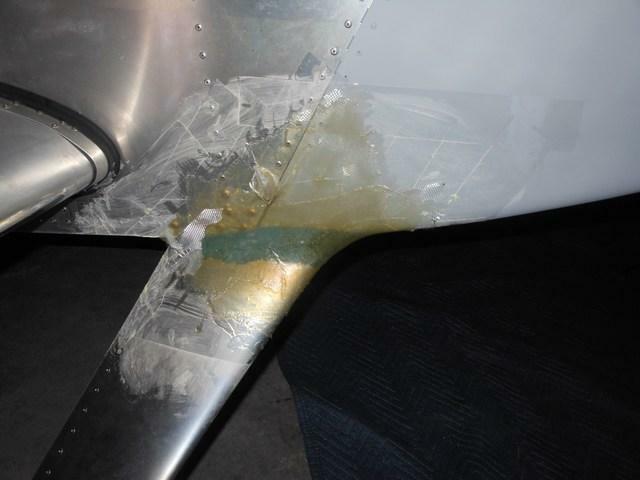 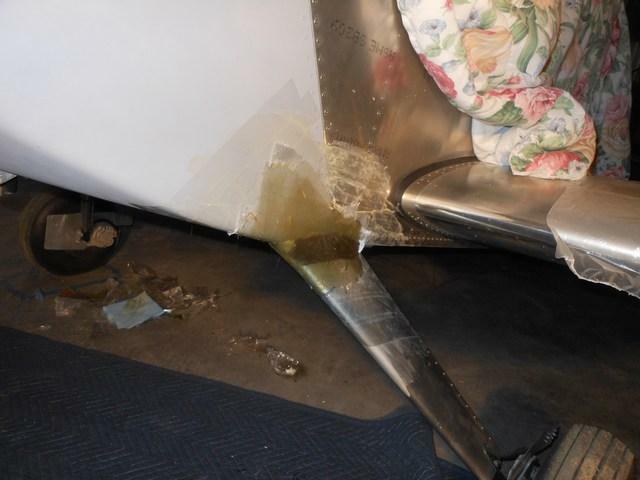 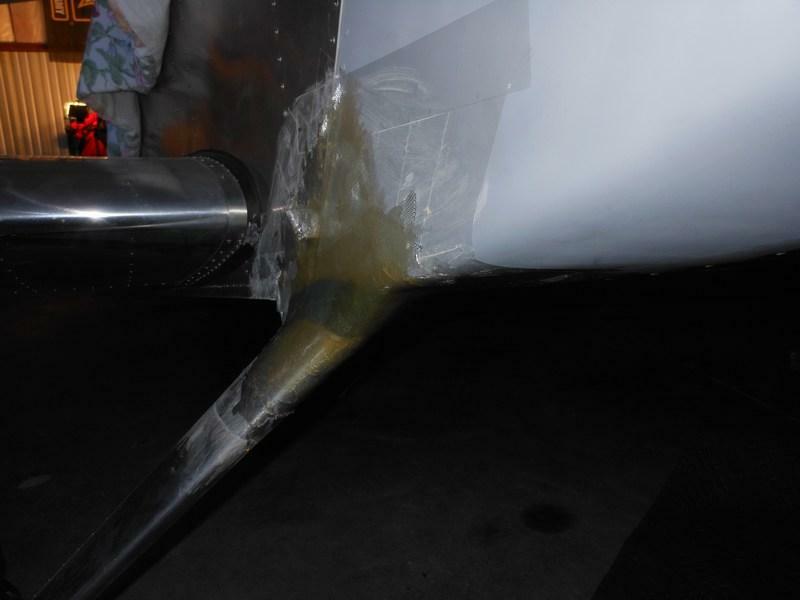 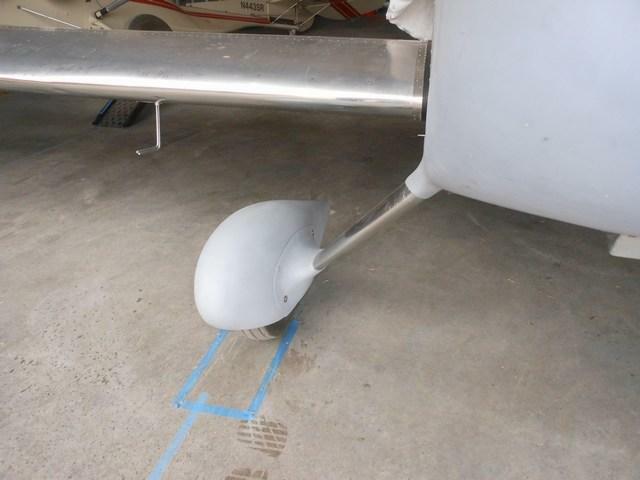 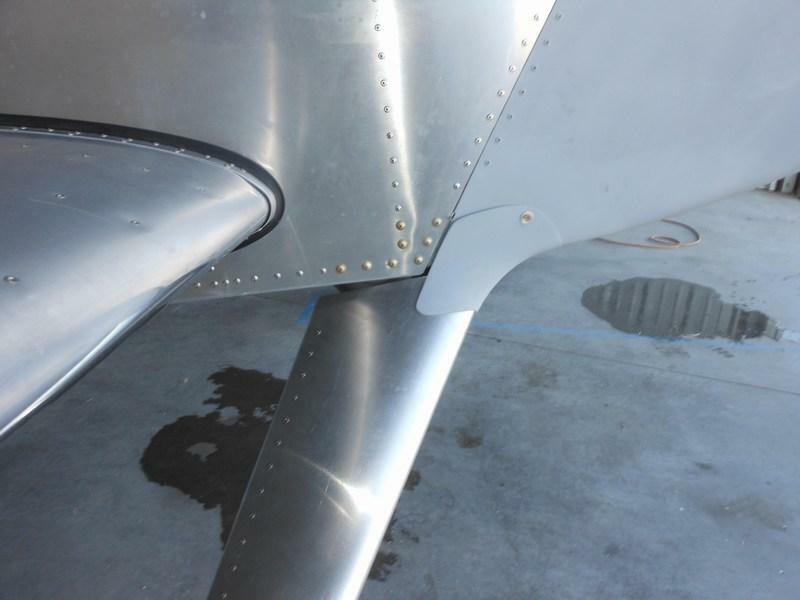 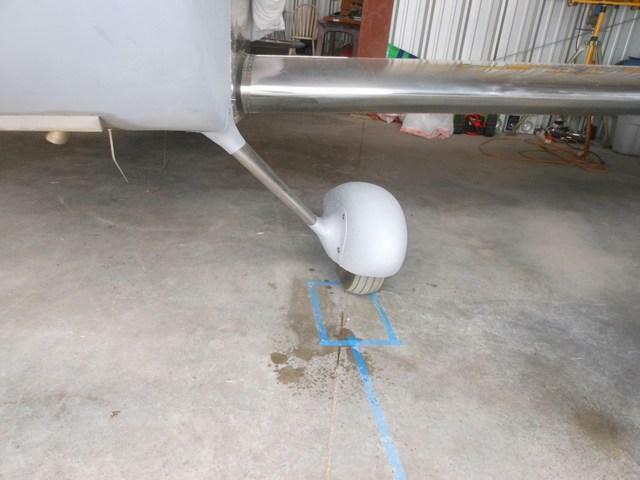 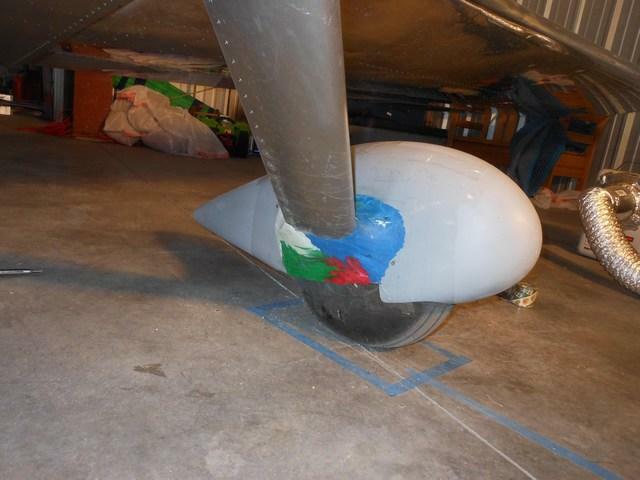 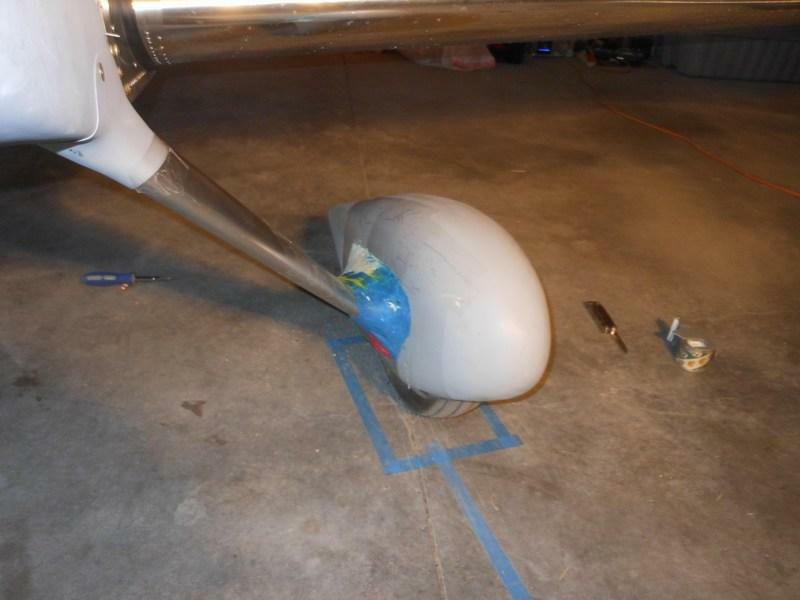 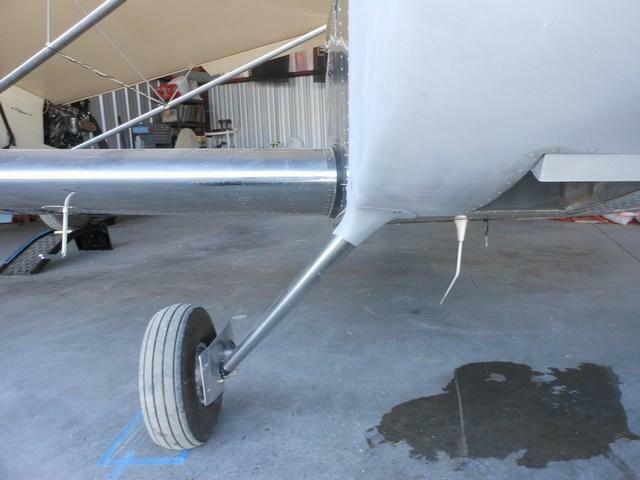 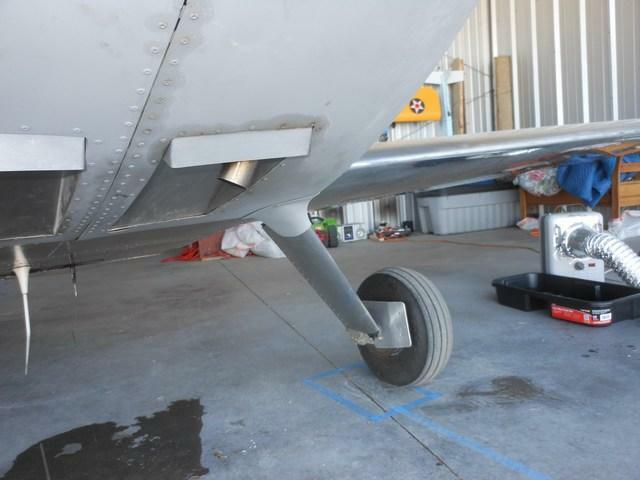 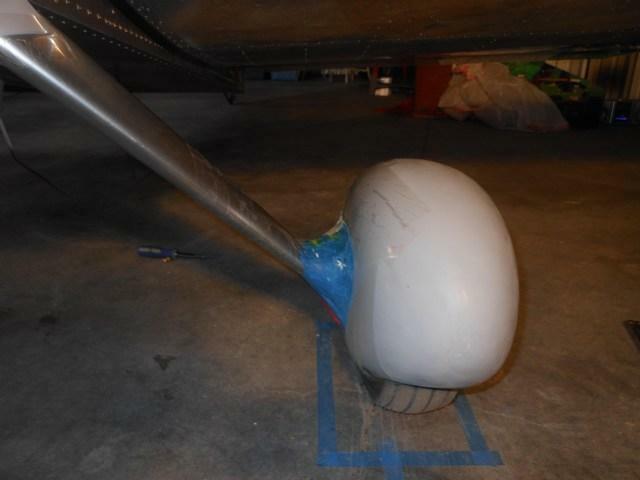 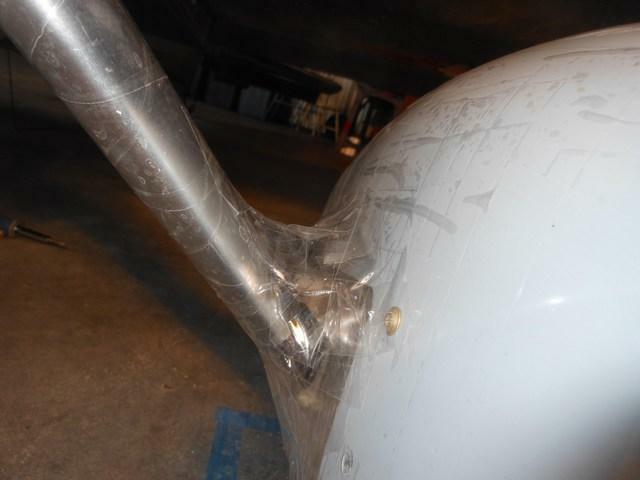 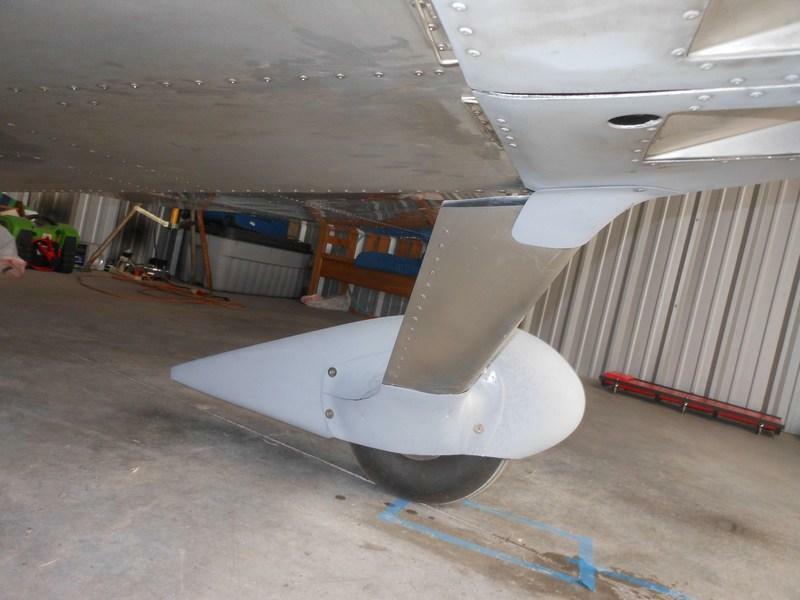 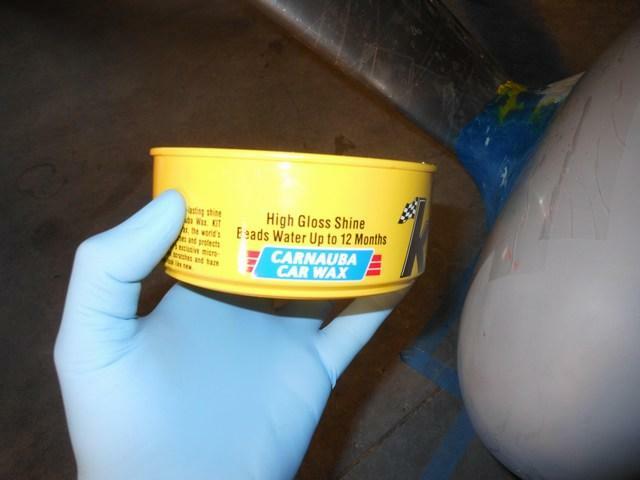 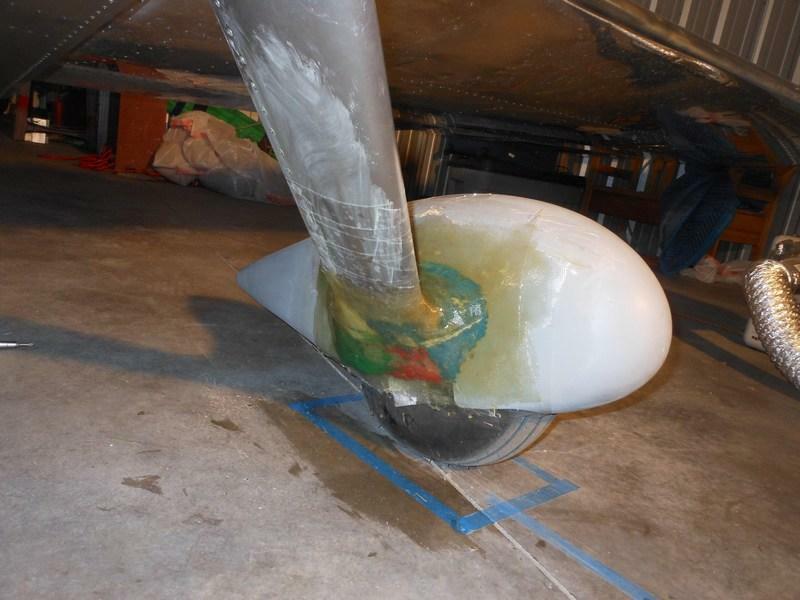 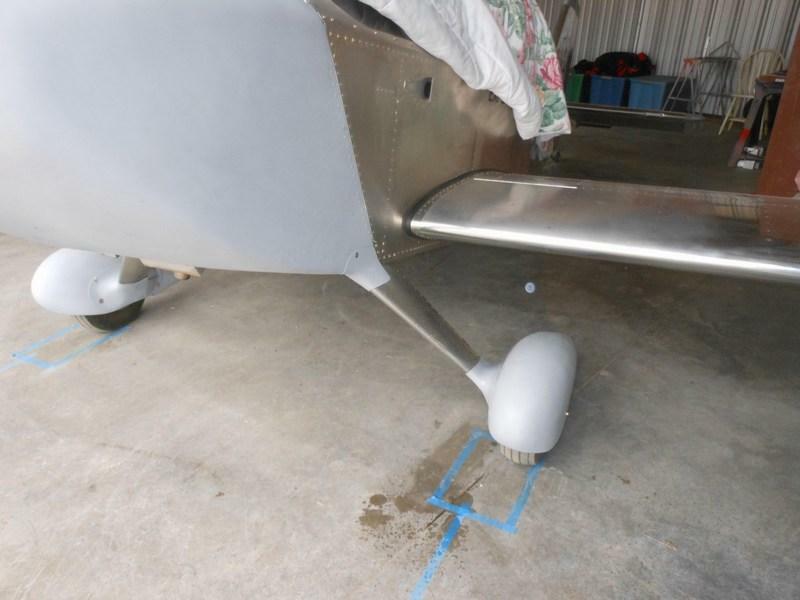 The final step in creating a smooth, finished look for the landing gear was to smoothly transition the wheel pants into the gear leg fairings and then into the fuselage belly. 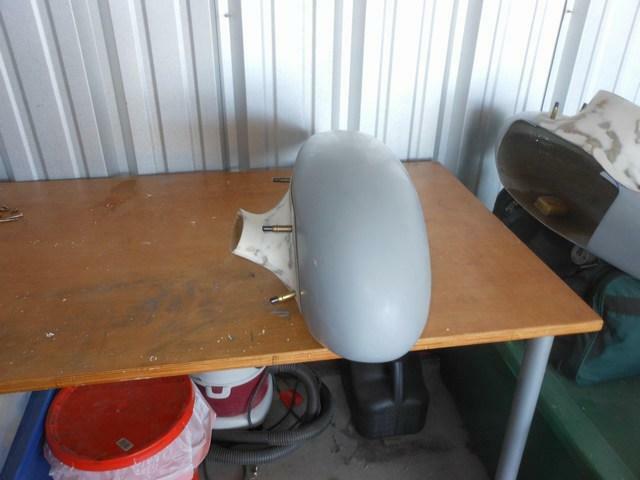 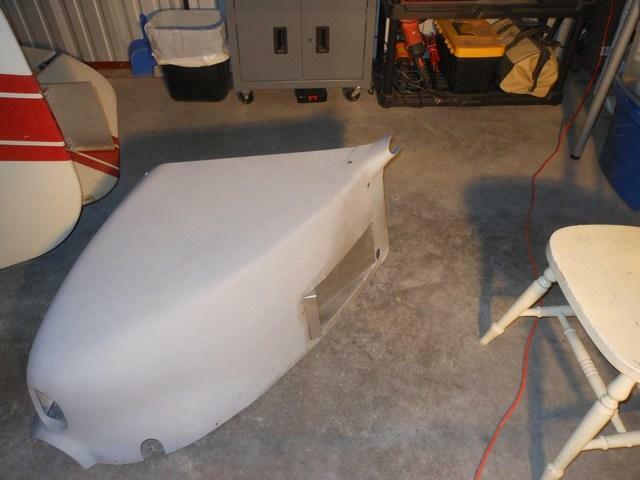 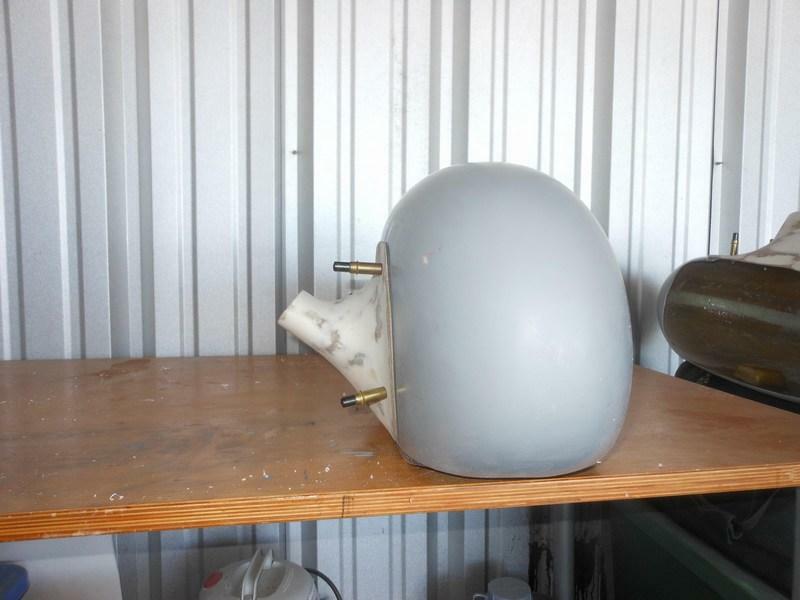 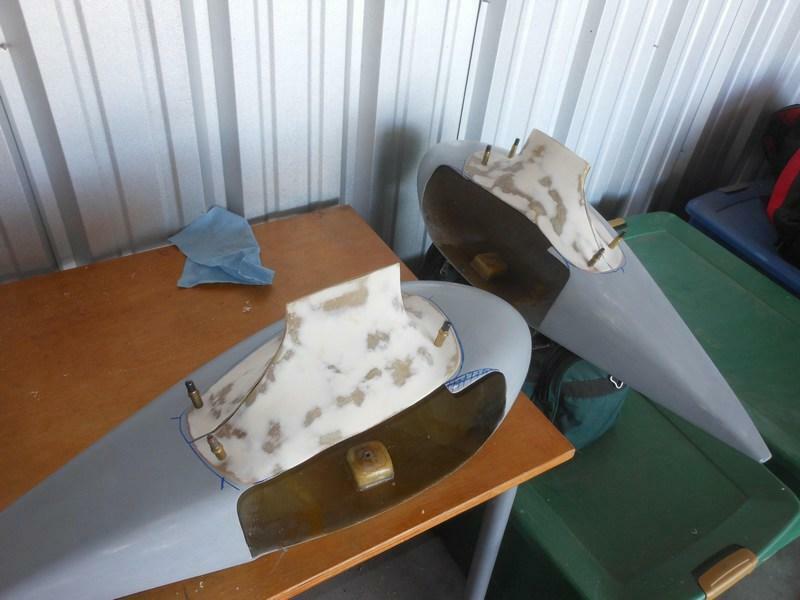 These transitions required custom fiberglass intersection fairings. 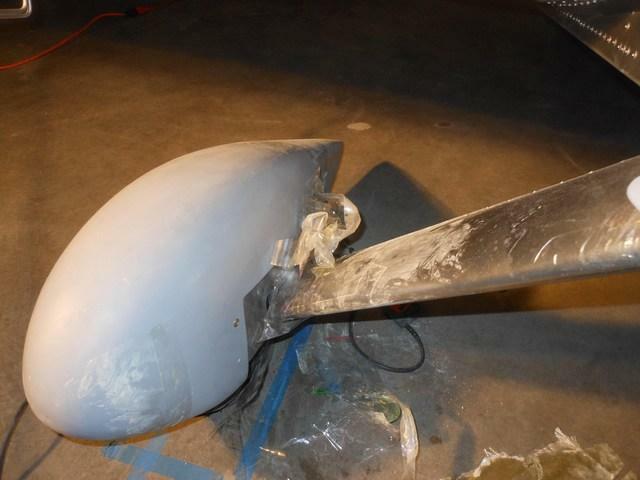 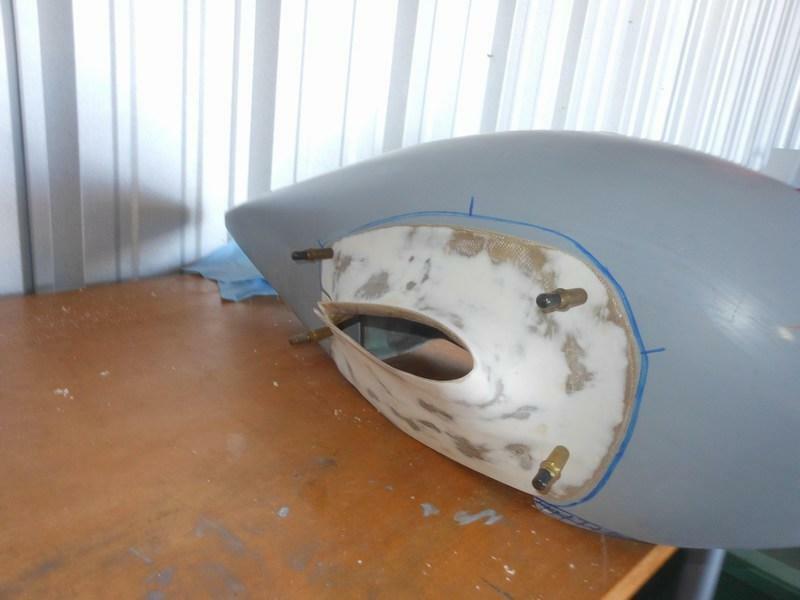 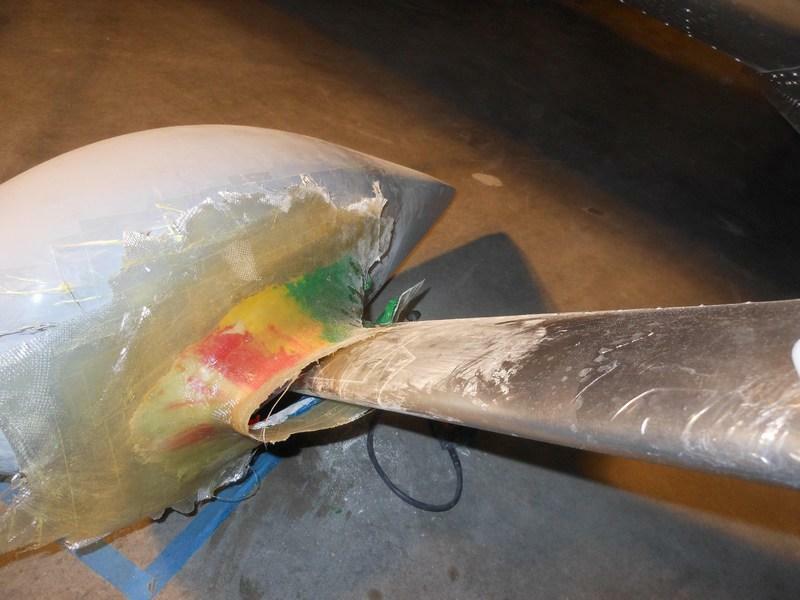 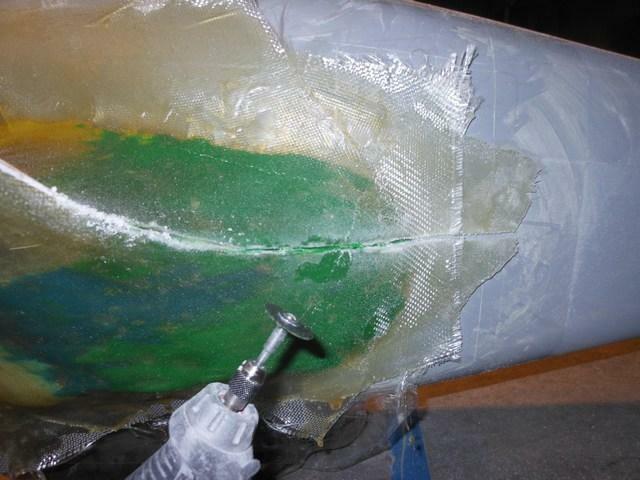 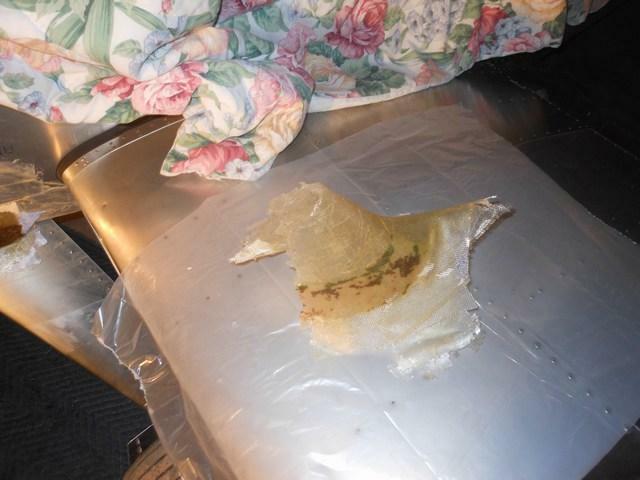 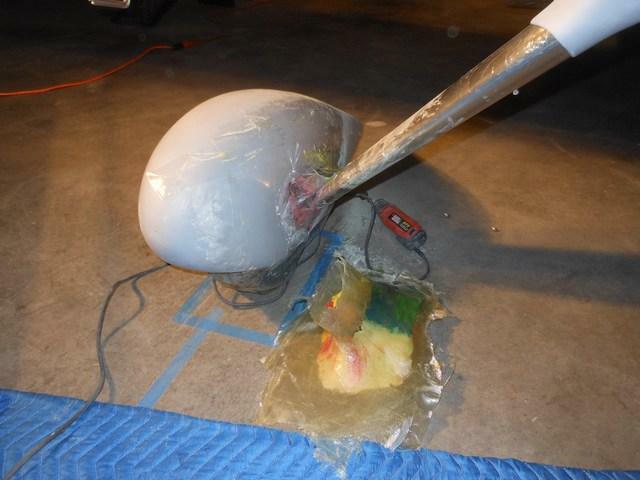 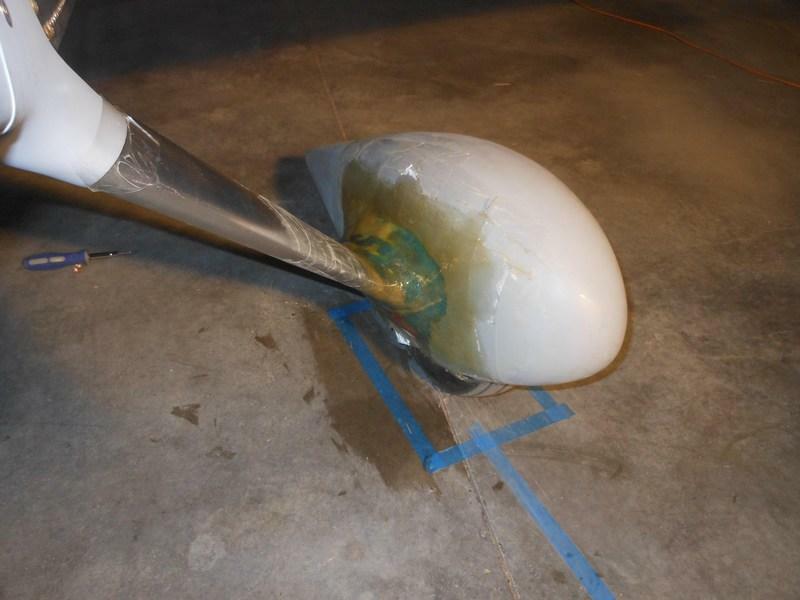 The intersection fairings were constructed just like the tail fairing: the surrounding area was first protected from the epoxy, next the contour of the fairing was set using packing tape and modeling clay, then the fiberglass was laid up oversized directly on top of the (waxed) clay. 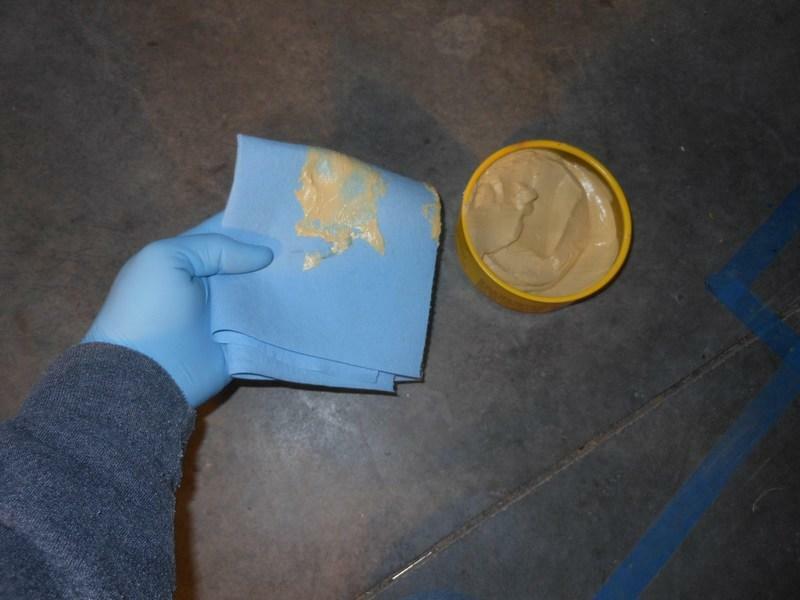 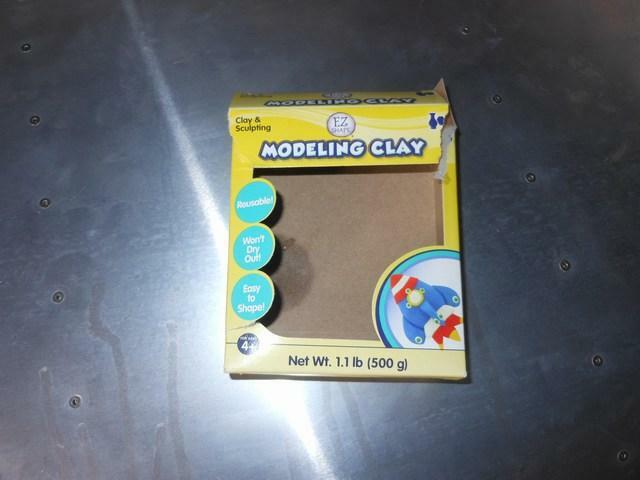 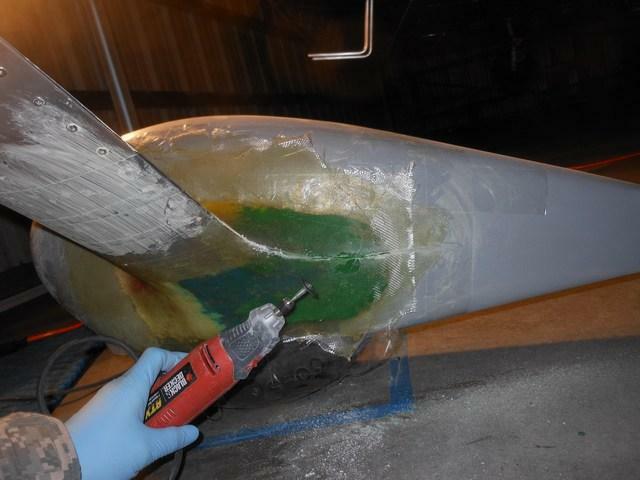 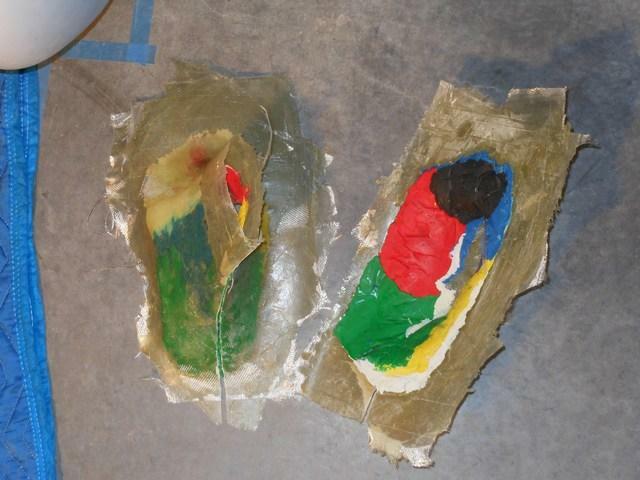 When dry, the rough fairing was separated from the tape and clay, trimmed and sanded to shape, smoothed with micro and painted (primed, in this case). 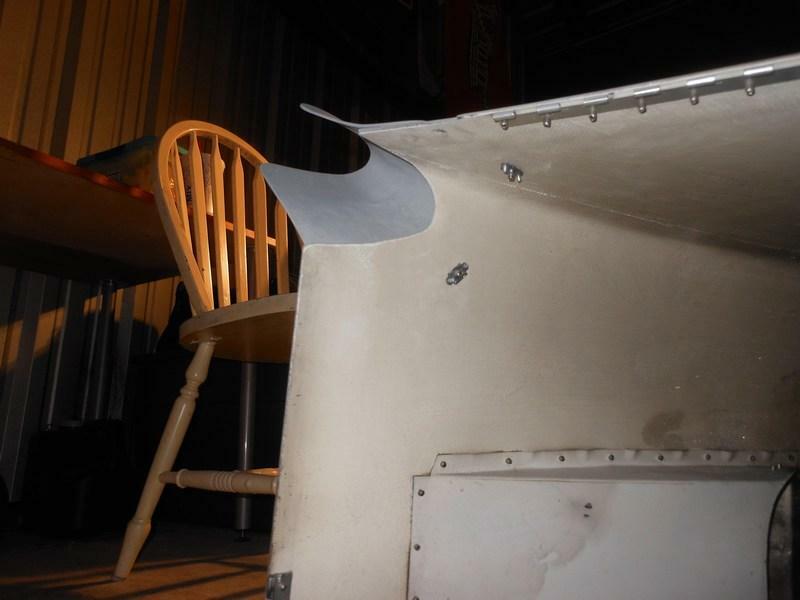 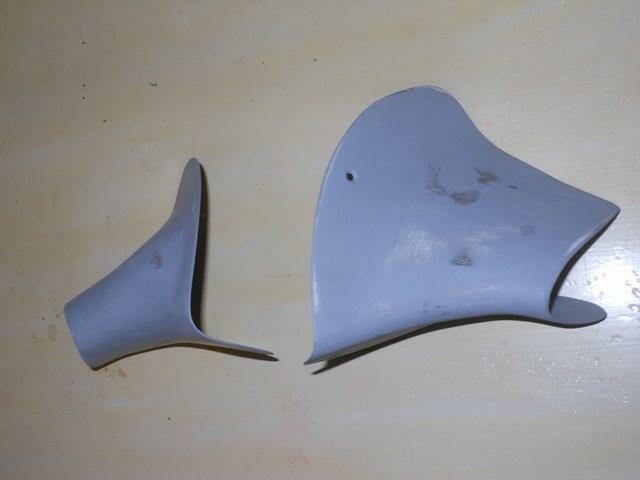 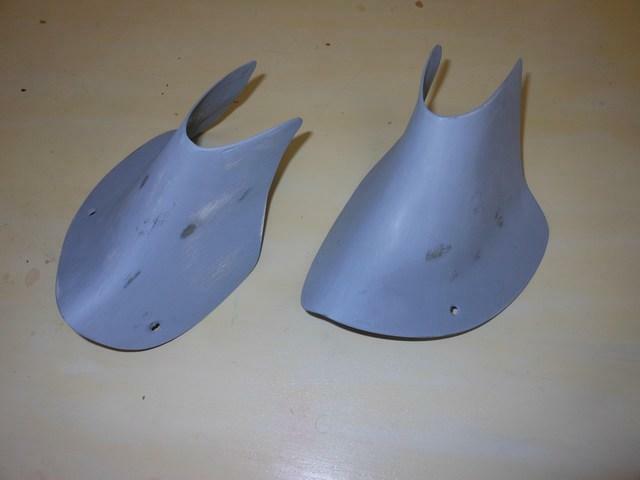 The final fairings were attached using countersunk screws and washers into nutplates. The effect really dresses up the plane.